Bilingual and multilingual individuals have stood at the crossroads of cultures for millennia. The practice of conveying a message from one language to anther has now become a huge for-profit industry. Unfortunately, the essence of the linguist's work is pushed aside continually. They are abused, instead of respected as people whose occupation is to create the bilingual bridge. 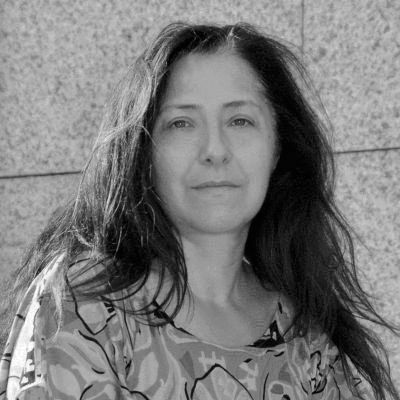 The written translation is more and more mechanized, and translators are treated as biological robots. The very foundations of the multilingual bridges are extracted and replaced by financial profit. Of course we all need cash to live in the current state of human civilization. Yet, earning money cannot become an excuse to degenerate moral values. Many languages are alive and spoken today. 7,097 to be exact. There're even more varying views of the world. 7.4 billion and counting. Yes, each single person at this planet is unique, and comprehends reality in her or his own peculiar way. There's no black and white though, just a kaleidoscope of colors. 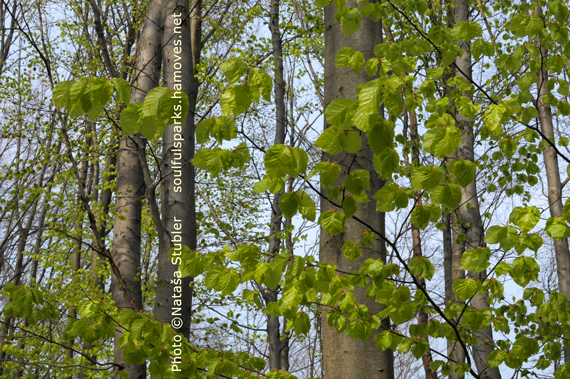 While observing a tree, one may exclaim "a tree," one may call it "l'arbre," another "Baum," yet another "drevo." No one is wrong. They're expressing different aspects of treeness through variation of sounds. We're looking at the world through tinted glasses. None is better than the other, they're simply different. The idea of tolerance has been floating around for centuries. Yet, if I tolerate your perception of what is, I'm still in the paradigm of right and wrong. Respect is the next step. Appreciation goes even further because I realize that I can learn from what you're experiencing. When the Christ's disciples received the present of tongues at Pentecost or Whitsun, it didn't necessarily mean that they no longer required interpreters as they were traveling the Middle East and Mediterranean. The gift allowed them to go beyond the right and the wrong, and see each person with the heart. They perceived the Light in the other, through Love. I step out of the paradigm of right and wrong, and enter the reality of uniqueness. I appreciate your point of view because your perspective widens my horizons. I may not agree with you, but I express my opinion lovingly. Perhaps my vibration no longer resonates with yours. We may need to part ways as the close proximity continues to generate painful dissonances that may not be resolved. I recognize that I cannot change you and you cannot change me. There's no right or wrong; our differences simply cause too much tension. I may depart, yet, I always embrace you with compassion. The more I open my heart, the more I can experience the joyful union with you, even when a relationship dissolves. We are both of Light and we see the truth in Love. Yet... we're still walking the dry, stony road, surrounded by thorny bushes. The path towards bliss is often an arduous journey. The key is not to loose hope, but to trust the vision of Union. 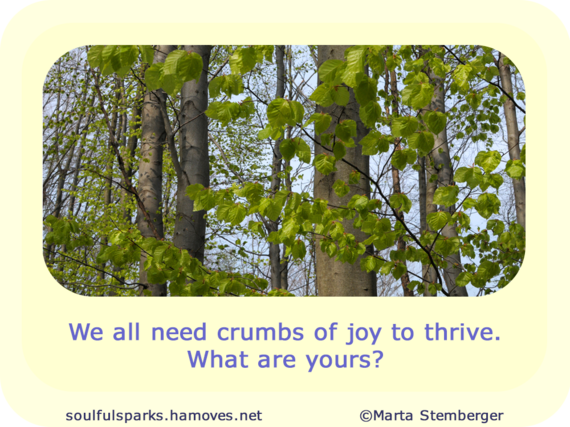 Oh, and we all need joy to survive and thrive in this earthy life. Sometimes we receive wonderful cakes, sometimes we get tiny, yet delicious, bread crumbs. As a child, I loved to go with my mother to an old fashioned bakery. The smell was enticing, but waiting in line was boring. The back of the line was against the wall of the narrow space. Then it turned around, and we would line up at the counter itself, which was high for a small child. There was a shelf, just low enough to put my hands on. And it was full of fresh bread's crumbs. I was always eager to reach for those delicious tiny bread bits, and put them into my mouth. No, I wasn't hungry. I simply enjoyed the wonderful taste of freshly baked bread. 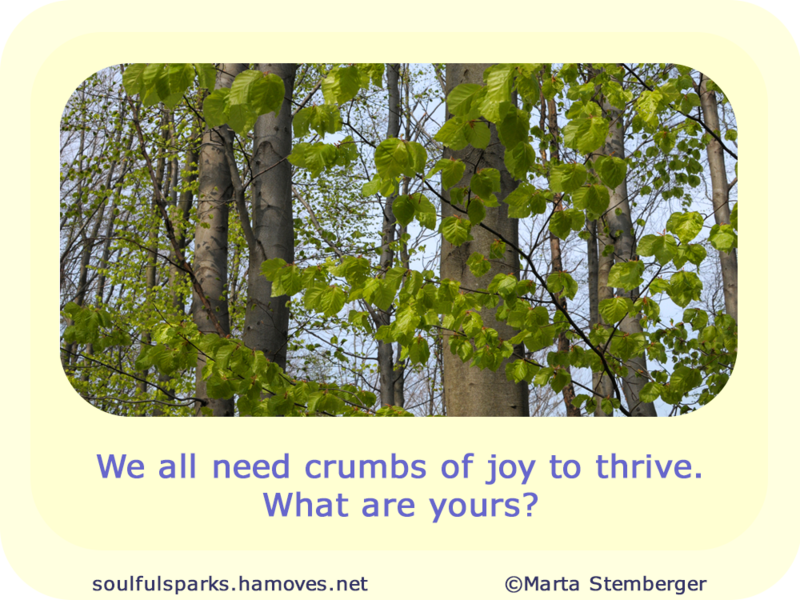 We all need crumbs of joy to thrive. What are yours? This article first appeared on the Soulful Sparks of Inspiration website.